We had good attendance at all the services held on Remembrance Sunday. At 6 am, a piper played the Scottish lament, “The Battle’s o’er” to mark the time that the armistice was signed to come into force at 11 am on the 11th November 1918. 30 people had made the effort to be there after a very early start. The 11 am services at Castle Rising and Sandringham were both well attended, both starting out at the war memorial before processing to the church for a service. 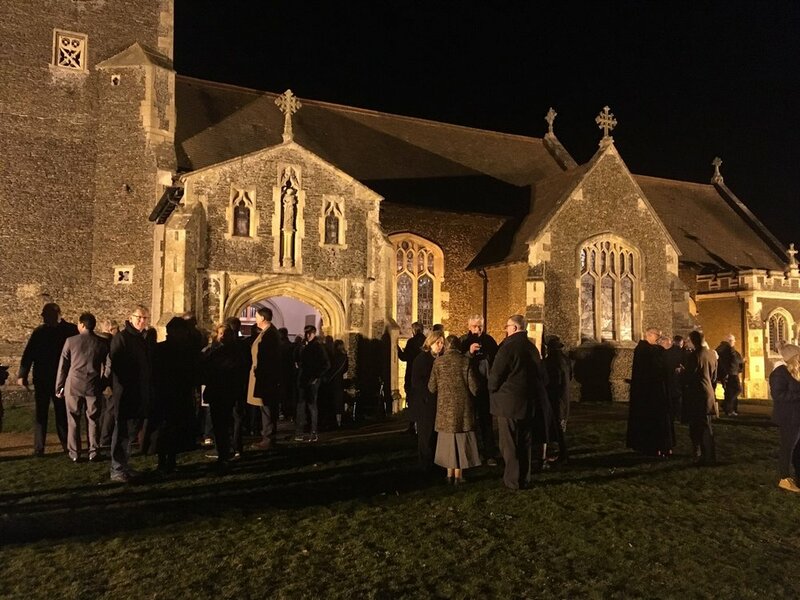 In the evening, at 7pm, we had an act of remembrance at Sandringham church before launching a rocket to signal the lighting of the beacon. The lighting of the beacon was part of a national program of beacons being lit to mark the end of hostilities.